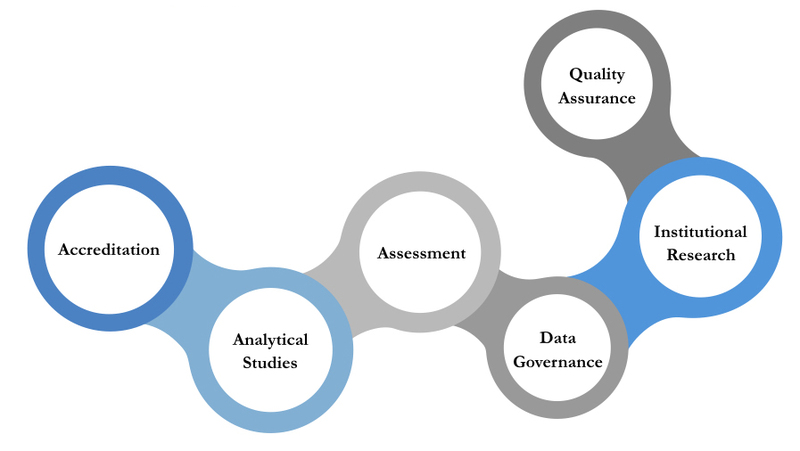 Office of Assessment and Institutional Effectiveness leads systematic and integrated efforts to explore the impact of university programs, curricula, services and operations; provides meaningful data to support strategic planning and decision-making at all levels of the university; plays a critical role in demonstrating accountability to accreditation, external entities and the general public; fosters a campus-wide culture of data-informed decision-making, continuous improvement, and teaching and learning innovations. 2/4/19: Please note, access to Compliance Assist has become read only while the campus works to implement a new online assessment management system. Effective March 23, 2018, the Office of Assessment and Institutional Effectiveness is located at College Park 205. Effective Sept. 1, 2017, the new Office of Assessment and Institutional Effectiveness was formed by combining institutional research and assessment operations in the Academic Affairs Division in order to consolidate CSUF's institutional success measures and to support the university's commitment to data-informed decision making. Our new email address is data@fullerton.edu and contact information can be found on the "Our Team" page. Please use the link below to request data or analyses. Be sure to browse our website as it displays and regularly updates a variety of institutional data (e.g. enrollment, graduate rate, PPR reports). If you are unsure how to locate the data needed, please contact us at (657) 278-2593 or data@fullerton.edu . The OAIE (Office of Assessment & Institutional Effectiveness) team is here to assist you with any needs related to institutional data or analyses. To contact or locate a team member, please click 'team members'. This site is maintained by Assessment and Institutional Effectiveness. To report problems or comments with this site, please contact data@fullerton.edu.